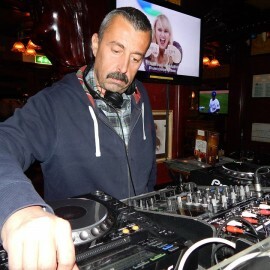 GUIDO P was born musically as a DJ in the late Eighties. Always been fond of dance and electronic music, during that period he was fatally attracted to all kinds of the “House” music, Underground – Garage- Acid, but was always connected to all classic and vocal sounds, such as R&B, Soul and Acid Jazz- Notwithstanding several DJ set in various clubs of the northern area of Milan and in the near Switzerland, his name has always been associated to the prestigious and trendy MOZART Club in Varese, where he has been resident DJ all throughout the Nineties. Eclectic in his DJ sets, he was skilfully able to musically ferry his public from the magnificence of the Disco Music of the 70s and 80s to the glamour and to the sounds of the most modern and most rhythmical House music. In his current Dj set and DJ mix, he prefers and introduces –using his unmistakeably style- the best Soulful House and Deep House, daily and carefully selected in the wide panaroma of the contemporaneous dance music.